How to transfer your tour money to Bhutan? How safe is to Transfer your tour money to Bhutan? Bhutan map & Driving Distances. As the name suggests, trekking along this trails will lead us through the beautiful villages of Laya and Gasa. Graded amongst the toughest trekking route in Bhutan, the trail will sometime lead us above 5000 m.
These trails remain very quiet throughout the entire year with only an average of 300 trekkers visiting annually. The trek starts from Paro and ends at Punakha. While trekking along this trail, you will have an opportunity to witness the nomadic life of Bhutanese people and witness their daily life. Come see for yourself the culture that has survived one millennium after another. Unleash the Rider within. A life without adventure is dull, let us change that. Take a few days off to live, to really live. Places covered: Paro, Thimphu, Punakha and Gasa. Best Season: March, April, May, September, October and November. Nature of Tour: Trekking and cultural sightseeing. Paro Ta Dzong: Located on a spur above Rinpung Dzong, five and a half kilometres’ drive from Tshongdu town, the dzong was built in the mid-17th century as a watchtower overlooking Rinpung Dzong by Lanyongpa Tenzin Drukdra and Chogyal Migyur Tenpa. The circular dzong houses the National Museum of Bhutan. Kichu Lhakhang: Located about 10 minutes’ drive from Paro town, the temple is one of the two among 108 temples built by Tibetan King Songtsen Gampo in the 7th century to subdue a demon that lay supine across Tibet and Bhutan. The temple contains sacred relics dating back to the 7th century like a statue of Lord Buddha and four statues of Chagtong Chentong. It also contains the statues of Guru Nangsi Zilnon, Dolma Kukuli (a manifestation of Tara), Zhabdrung, the bone relic of his Holiness Dilgo Khyentse Rinpoche. Overnight: At hotel in Paro. After your breakfast, drive to Gunyitsawa from where your trek begins. There is an army check post where your permits will be checked and endorsed. Today is an easy day with just about 40 minutes trek. After early breakfast in your camp, set out for a long day trek towards Thangthangkha, our next stop. Jangothang, also known as Jomolhari base camp, we will our next stop today. From here you can enjoy the spectacular view of Mt. Jomolhari, the border between Bhutan and Tibet (china). Today we will spend one more day at Jangothang. There are so many places around to go for short hikes and spot some blue sheep (Pseudois nayaur) grazing on the slopes. The views of snow capped mountains around this camp site are so stunning and beautiful. The trail climbs gradually to Nyilila pass (4,870 m) and then descends down till we reach our campsite at Lingzhi. The trail will lead us through Chebisa village crossing few yak herder camps till we reach Shomuthang, our next stop over point. Today the trail will lead us through Sinche la pass located at 5005 m above sea level. Today, we will be trekking across through a narrow and densely forest area till we reach a beautiful Laya village, our stopover for the nigh. Today we will follow Mochhu River towards Koina. It will take around 6 to 7 hours to get there. Today we will descend down to beautiful Gasa village (2,770 m). You have option to end your trekking journey here and drive down to Punakha or to trek down for another 2 days till you reach Tashithang. 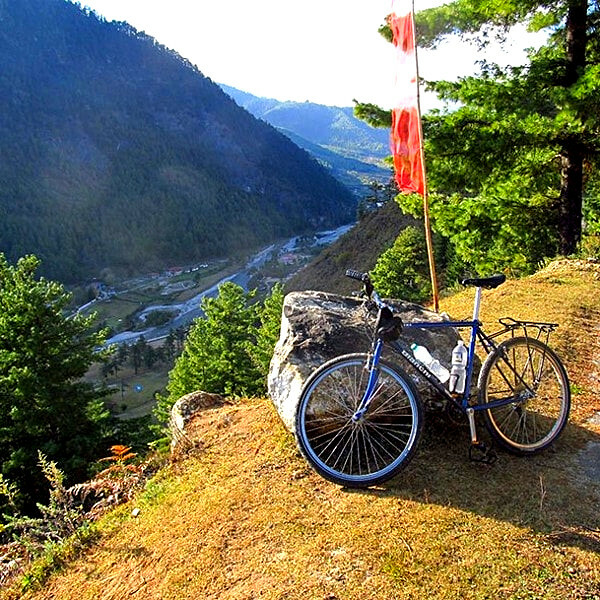 From Gasa descend down to Damji, your next campsite. Meet your car and driver at Tashithang and transfer to Punakha. After arriving at Punakha, check into your hotel and relax for rest of the day. After your breakfast visit to Punakha Dzong and head towards Paro via Dochula Pass. Punakha Dzong: The dzong is situated on a stretch of a land where two rivers – Phochu and Mochu – meet. The dzong was built by Zhabdrung Ngawang Namgyal in 1937 and named it Pungthang Dewa Chenpai Phodrang, the palace of great bliss. Later it became the final retreat palace for him. The first monarch, King Ugyen Wangchuck, was crowned there and it served as the capital of the country until 1955. Today it serves as the winter residence of the Central Monastic Body. The sacred relic Rangjung Kharsapani is also kept in the Machen Temple inside the dzong. Dochula Pass: Located 23 km east of Thimphu city, Dochula pass at the height of 3100 m above sea level is Bhutan’s most decorated and beautiful pass. On this pass is 108 stupas called Druk Wangyal Chortens, built by Queen mother Ashi Dorji Wangmo Wangchuck. There is also a temple called Druk Wangyal Lhakhang built in the honour of fourth king of Bhutan, Jigme Singye Wangchuck for his service to his subjects. The front yard of this temple is a venue for Druk Wangyal festival which is conducted annually in the month of December. On the backdrop of this pass is the stunning view of snow capped mountain ranges and amongst which is Bhutan’s tallest mountain Mt. Gangkar Puensum(7570m). After your breakfast, your guide and driver will drop you off at Paro International airport. When visiting Bhutan, one should be aware of Peak and Lean tourist season. March, April, May, September, October and November is considered as peak tourist season and December, January, February, June, July and August is considered as lean tourist season in Bhutan. There is a difference in cost to visit Bhutan during peak and lean tourist season. The reason behind this is; all the tourists visiting Bhutan have to pay a minimum mandatory fee (daily tariff) of US dollar 250 per person per night stay in Bhutan during Peak tourist season and $200 during Lean tourist season. On top of minimum daily tariff, by virtue of smaller group; solo travelers have to bear a surcharge of $40 per night stay in Bhutan and Dual travelers (two) have to bear a surcharges of $30 per person per night stay in Bhutan (both peak and lean tourist season). Surcharges are not applicable if the traveling group consists of 3 or more travelers. All the tourists visiting Bhutan have to bear a onetime payment of $40 as Bhutan Visa fee on top of mandatory minimum daily tariff and surcharges. Due to nature of Tour and man force required, cost for trekking may be slightly more expensive compared to Cultural and festival tours. With the likes of trail that takes you right at the foot of worlds’ tallest unconquered mountain (Gangkar Puensum 7550m), trekking in Bhutan will give you a new experience never like before. With more than 70 percent of the country covered by undisturbed wilderness, trekking in Bhutan will take you ever closer to the nature. These trekking trails once used by famous Buddhist saints like Guru Rinpoche (who introduced Buddhism in Bhutan) in 746 AD while visiting Bhutan from Nepal and Zhabdrung Ngawang Namgyal (the unifier of modern Bhutan) in 1616 while fleeing Tibet for a political dispute, this routes are the genuine routes where Bhutanese people still use it today. What makes trekking in Bhutan unique is its calmness and natural feeling; credit to less numbers of trekkers visiting Bhutan and its natural unpaved trails unlike other countries around the world. With more than 20 trekking trials to choose from, Bhutan offers trekking services to both beginners and pros. No specific trekking permits are required to trek in Bhutan. You can trek in Bhutan with normal tourist visa for international tourist and normal entry permit for regional tourist (Indian, Bangladeshis and Maldivians). The best season to trek in Bhutan depends on which trekking trail you choose to but in general, March, April, May, September, October and November are the best months to trek in Bhutan. In the month of June, July and August Bhutan receives heavy rainfall and in December, January and February, the high mountain passes along the trekking trails are covered with snow, making it difficult for trekkers. Bumdra Trek- February, March, April, May, September, October, November and December. However one can trek year round despite any season on this trail. Gangtey Trek- March, April, May, September, October, November and December. Samtengang Trek- January, February, March, April, May, September, October, November and December. It’s doable all year round despite any season. Bumthang Owl Trek- March, April, May, September, October, November and December. 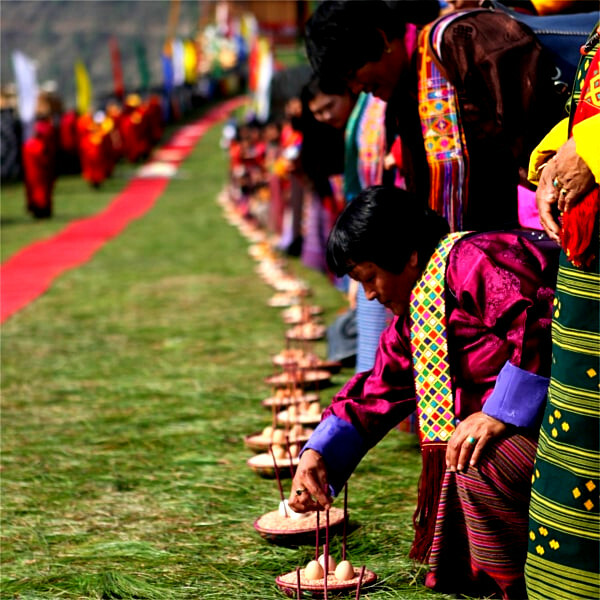 Bumthang Cultural Trek- March, April, May, September, October, November and December. Sagala Trek - March, April, May, September, October, November and December. Sinchula Trek- March, April, May, September, October, November and December. Druk Path Trek- March, April, May, September, October, November and December. It’s Doable all year round despite its best seasons. Dagala Lake view Trek- March, April, May, September, October, November and December. Despite the best season, one can trek year round on this trail. Jomolhari Trek- March, April, May, September, October and November. Laya Gasa Trek- March, April, May, September, October and November. Gangkar Puensum base camp trek- One can trek on this route from mid June to October but the best recommended month for this trek is October. Snowmen Trek I- One can trek on this route from mid June to October but the best recommended month for this trek is October. Snowmen Trek II- One can trek on this route from mid June to October but the best recommended month for this trek is October. Trekking in Bhutan can be of 2 days or a month long. Depending on the number of days taken to trek, gain in altitude and nature of terrains, trekking routes in Bhutan can be graded into four categories; easy, moderate, difficult and very difficult. At 10,760 feet above sea level, Bhutan is ranked highest country in the world, in terms of average land elevations. As a result most of its trekking trails are located on higher altitude, averaging over 12,000 feet above sea level, requiring certain level of physical fitness and trekking experience. However with varieties of trails to choose from, both beginners and pro can enjoy trekking in Bhutan. Be it 2 days or grueling 25 days trekking, Bhutan has it all for you to choose from. For those who are attempting to go for Snowmen trek (25 days trek), it will be asset if you have certain level of trekking experience and physically fit enough, since snowmen trek is referred to as amongst the world’s most toughest trekking route involving climbs over 5000 m.
Do not ignore any kind of symptoms related to altitude sickness; difficulty in breathing, headache, giddiness and numbness in limbs. If you experience any of the mentioned symptoms, inform your guide immediately. Though portable oxygen supplies and first aid kits are always carried along with by the crew members but if possible carry some diamox (acetazolamide) pills, which can be bought from pharmacies across Bhutan. The best tactics, if you suffer from altitude sickness is to stop ascending and if the symptoms do not go away or get worse, then descend down. It is advisable that you drink large amount of water every day while you are trekking. Meals while trekking in Bhutan are prepared every day by cooking crews and no left over foods are served. Lunch are prepared in the morning along with breakfast and carried as a packed lunch. Dinners are prepared at campsite at the end of every trekking day. Hence chances of getting food contaminated while trekking in Bhutan are very slim. Bottled water is carried by trekking crew members but however it is not sufficient for longer duration treks and hence the crew member boils water in the morning for you to carry for the day. It is advisable that you bring your own water bottle and if possible carry some water purifier solutions as well. Refrain yourself from drinking directly from the streams nearby. No trekking trails in Bhutan will meet you with any kind of criminal activities. In fact if you are in need, everyone you encounter will be very much happy to help you whatever way they can. Consult with your guide in regards to dos and don’ts and stick together with your group (if trekking on group). Carry essential items such as head torch, portable cell phone chargers and your mobile phone along with you. Toilet tents with toilet pots and toilet papers. Kitchen tents with whole set of kitchen items to prepare meals. Hot water bags in bed. Some of the items that you need to bring along while trekking in Bhutan are; Sleeping bag, sturdy and comfortable trekking boots, few changes of cloths, gloves, neck warmers, wind proof/water proof jackets, warm jackets and hiking pants. With no hotels or home stays along the trekking trails, all the trekkers must spend their nights in the tent (camping). Camping crew member arranges your tents. They travel ahead of you and put everything on place before you reach your campsite. All the meals are prepared by trekking cooks who will trek alongside you throughout the entire tour. Lunch are prepared in the morning and carried by trekking staffs. Breakfast and dinners are prepared and served at the campsite. 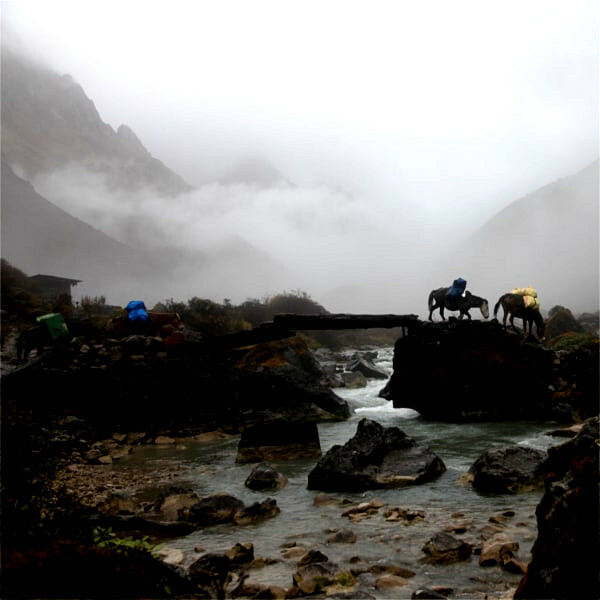 Since there are no grocery stores or shops along the trekking trails, all the food items are bought and carried along by the crew members, their horses and yaks. As and when available, our crew members will try to buy fresh vegetables from local communities and include in your menu. Since trekking in Bhutan is a guided tour by the law of country, lone trekkers should not worry because he or she will be followed by trekking guide and crew members for the entire trekking tour. We have 24/7 customer support. Mail us at: info@seebhutantravels.com / seebhutantravels@gmail.com or fill up the form below and click on send button. We organize Cultural sightseeing tour, Trekking, Mountain biking tour, Festival tour, Luxury tour and White water rafting tour within Bhutan. We are a Travel Company based at Thimphu, Bhutan, formally registered with Tourism Council of Bhutan (TCB) and also a member of the Association of Bhutanese Tour Operator (ABTO) and Guide Association of Bhutan (GAB). Your payment with us is safe and secured, you can visit Here to verify our registration with Tourism Council of Bhutan.